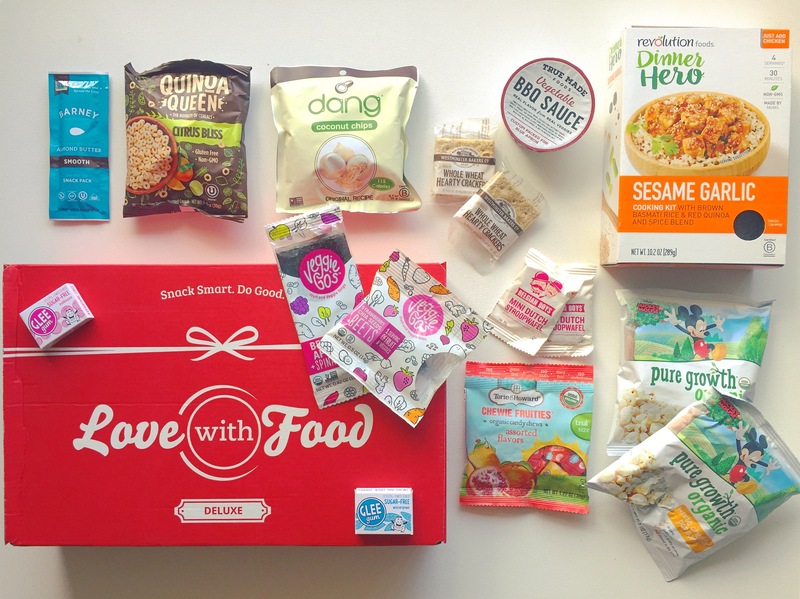 Revolution Foods – Dinner Hero – Sesame Garlic cooking kit – I love how the Love with Food box has started to add savory meal items to their regular treat boxes. Veggie Go’s – Berry Apple Spinach fruit & veggie strip – Mmmm love these. Veggie Go’s – Strawberry Chia Seeds Beets fruit & veggie bites – Equally as yummy! Quinoa Queen – citrus bliss quinoa toasted cereal – A fun little bag of cheerio type cereal but Gluten Free! Torie & Howard chewie Fruites – These are so soft and squishy, with lots of tasty flavors. Pure Growth organic x2 – love these little mini white cheddar popcorn bags. Glee Gum x2 – Cute little mini gum boxes, and tasty too! Dang coconut chips – Sweet little treat to get a little boost of energy mid-day. True Made Foods vegetable BBQ sauce – Time to get cooking in the kitchen with all these savory items! Westminister Bakers Co. – Whole Wheat crackers – A healthy dose of savory snacks in this box! Perfect for soup. Belgian Boys – mini dutch stroopwafels – 2 mini packs of this yummy wafel, love this company as y’all know!